The PCOC makes sure you have immediate navigation and safety skills but it’s just the beginning of what you should know when you get on a boat. In the second of our Boating Series, you are introduced to the art of navigation, anchoring, ropes, lines and knots – not to mention what to expect when the boat is moving under power. This course also has a number of additional topics that will be taught; these include towing, trailering and a check list for layup and launch. The third course in our series explores navigation further as you learn how to plot and label on paper charts as well as what the skipper should be doing before setting out and when under way, handling a boat under sail as well as your environmental responsibilities and electrical hazards. This course also has a number of additional topics that will be taught; these include tides and currents, canals & locks, and collision regulations. This course is held weekly on Wednesday evenings for 8 to 10 weeks. 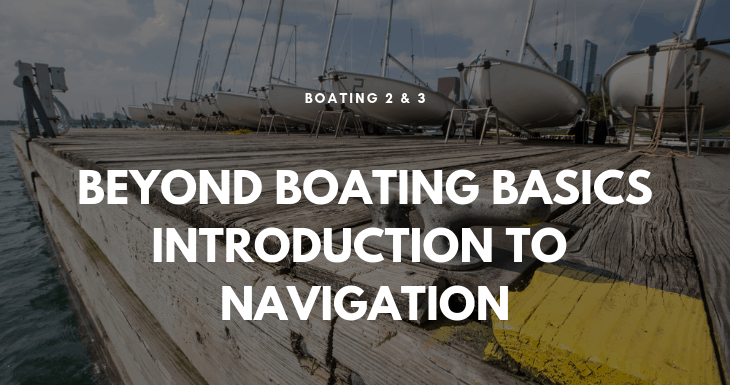 The Boating 2 & 3 - Beyond Basic Boating & Intro to Navigation ticket is sold out. You can try another ticket or another date.